Stick AIO Coil is designed for SMOK Stick AIO Kit. It delivers massive clouds and smooth airflow. 5pcs each pack. Get it as a spare part. 0.23ohm and 0.6ohm available. 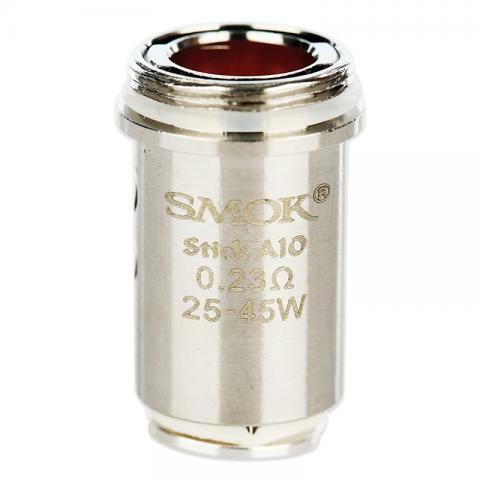 SMOK Stick AIO Replacement Coil is compatible with Stick AIO Kit. 0.23ohm dual coil with bi-directional 4-hole, which delivers massive clouds and smooth airflow. 0.6ohm coil will give you pure flavor. 5pcs each pack. Get it as a spare part. • It's for Stick AIO Kit.